Greater media literacy which will lead to transparent and accountable institutions is needed – this is the conclusion of the e-Society.mk conference held yesterday in Skopje, organized by Metamorphosis Foundation for Internet and Society and addressed the topic “Media literate citizens for accountable institutions”. One of the main recommendations is including media literacy in the official educational process in Macedonian schools. According to the Ambassador of the EU to Macedonia, Samuel Žbogar, who addressed the attendees during the grand opening, the media literacy is a tool for recognizing true and fake news, but it’s also a tool for a responsible debate and pluralism of opinions. “Fake news have become a part of our digital interaction. The media literacy creates an environment for control of the state institutions and it’s a necessary ingredient for a healthy democracy. If there are no media literate citizens, the institutions will be less accountable and transparent”, Žbogar said. Besides Žbogar, speakers during the grand opening were also the director of the Foundation Open Society – Macedonia, Fani Karanfilova-Panovska, the Minister of information society and administration, Damjan Manchevski, the Minister responsible for transparency, accountability and communication, Robert Popovski and the executive director of the Metamorphosis Foundation, Bardhyl Jashari. Minister Manchevski emphasized that bringing the services closer to the citizens is a lot easier than bringing the citizens closer to services and institutions. “The digitalization will reduce the influence of the human factor and that, let’s be honest, will reduce corruption. We are aware that citizens’ trust in the institutions is low, we must work constantly to improve this. Gaining trust is not easy, that’s why transparency and accountability are not just some measures that we have to tick, but we must improve them truly thus decrease the fake news. We are not afraid of criticism, it mobilizes us and makes us better and I would like to have it in the future as well”, Manchevski said. 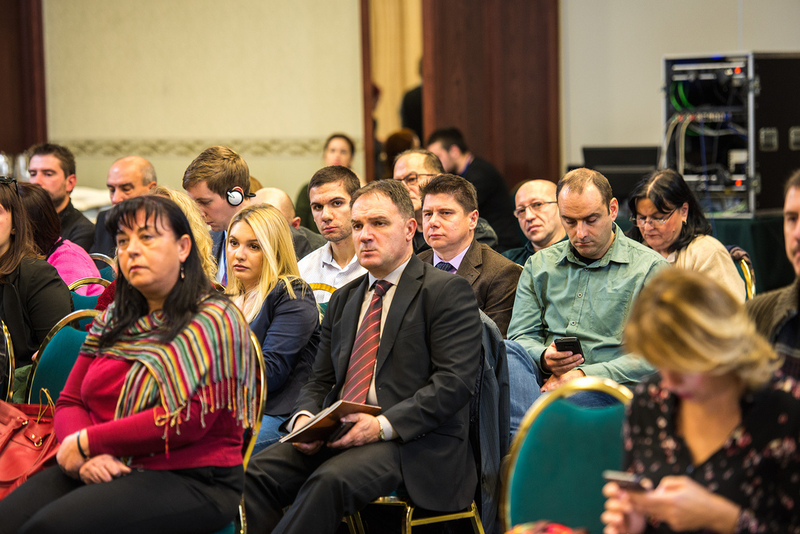 As Jashari highlighted, the focus of this year’s conference is laid on the influence of new technologies over the work of institutions as well as the process of finding solutions to challenges and problems faced by the institutions and citizens too. 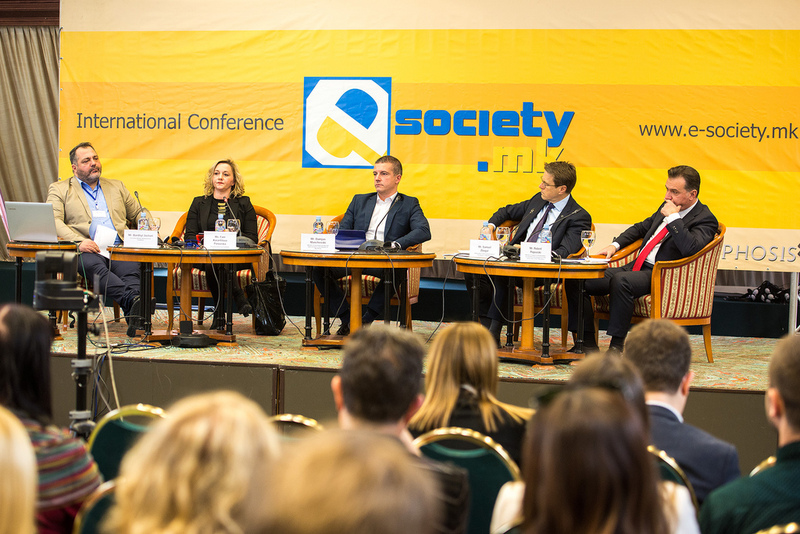 “The digitalization itself is not a solution to the problem, but we must incent the culture of open democratic society”, Metamorphosis’ director said at the opening of the 14th consecutive conference. According to Karanfilova-Panovska, there are media reforms but they are being implemented at a slow pace, young people do not possess a lot of skills and do not know how to verify fata and information they obtain. She referred to a research on media literacy conducted by the Foundation Open Society from Sofia in 2018, which ranks the EU member states as well as five Western Balkan countries. In this research, Macedonia is ranked last, holds the 35th place. The media literacy needs a fertile soil in the society, which is impossible when media are blackmailed and submissive, said the Minister responsible for transparency, accountability and communication, Robert Popovski. – I’m certain that government’s open and professional relation with the media contributes toward the creation of a fertile soil. This government listens to criticism, analyzes it and forms its policy in accordance with citizens’ interests – Popovski pointed out. Meta’s editor in chief, Zoran Andonovski, who talked during the second session titled ”Freedom of expression and media – where are we at?” and while presenting the report of the monitoring of the fulfillment of the reforms priorities in the area of media he underlined that some things regarding the media reforms have been started, but the process has been halted. “There has been an attempt for passing the new laws, but they are stuck in the Parliament. One indicative piece of data is that the Commission for Public Information has received 520 complaints for denied access to information. As regards defamation and insult, the judiciary still cannot pull everything together, there is no clear distinction on what a media outlet is and there are also baffling court rulings”, Andonovski says. Besides Andonovski, participants in this session were the director of the Agency for Audio and Audiovisual Media Services, Zoran Trajchevski, Dragan Sekulovski, executive director of the Association of Journalists of Macedonia and Media Development Center’s Dejan Georgievski. According to Trajchevski, the situation of the MRT remains poor, which brings its functioning and its role in the society into question. “Only economically strong and independent media can resist the pressure of the centers of power. The amendments to laws must not raid the media freedoms. Only free media can perform their role in the society so citizens would be able to form their own opinion”, Trajchevski stated. When it comes to freedom of expression and media independence both in Europe and worldwide, Macedonia is still at the bottom of the ladder, AJM’s Dragan Sekulovski says. “According to Freedom House, Macedonia is not a free country even after two years since the government took office and that’s a fact. The conclusions are supposed to motivate everyone that changes are needed, not for the sake of changing the image in the world but because the citizens deserve to be informed, not manipulated. Without systemic reforms, the media cannot do their job, and if that’s the case, the citizens will be deprived of the right of being informed”, Sekulovski added. He informed that the trend of attacks on journalists has decreased from 18 cases in 2017 to 6 this year and he warned that the hate speech in the media might lead to hate crimes. According to Metamorphosis’ program director, Filip Stojanovski, who was a part of the session “Tackling manipulations and disinformation with media literacy”, professional and objective information will reduce the number of fake news, which flood the Macedonian media. “The media literacy concept is not just solving the problem of media literacy, but we need access to many levels, starting from the objective and professional journalistic reporting. Such reporting would reduce the amount of fake news, which is prevalent in Macedonia”, Stojanovski said. Besides Stojanovski, speakers in this session were Macedonian Institute for Media’s Vesna Nikodinovska, Youth Educational Forum’s Bojan Shashevski and Bureau for Development of Education’s Marina Dimitrieva-Gjorgjievska. As Nikodinovska puts it, media’s goal is to teach people to think with their own head and check the facts they come across online. 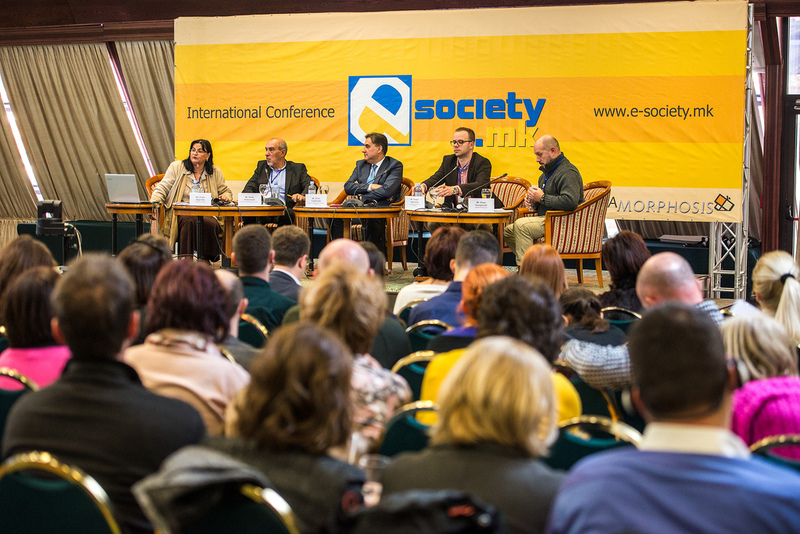 The conference e-Society.mk is organized by Metamorphosis, Foundation for Internet and Society in synergy with the projects “The Critical Thinking for Mediawise Citizens – CriThink” (crithink.mk) and “Accountability, Technology and Institutional Openness Network in SEE” (ACTION SEE – actionsee.org) funded by the European Union, the projects “Media Reforms Observatory” (mediaobservatorium.mk) and “Vistinomer.mk” (vistinomer.mk) supported by the Foundation Open Society – Macedonia as well as the project “Promoting, Shaping and Upholding Internet Freedoms” supported by the Association for Progressive Communications (apc.org) and the project “Developing Methodology for Citizen Monitoring of Surveillance Services in Macedonia” through IFEX (ifex.org).